Throughout the next 12 days, I'll be giving you a look back at some of my favorite posts from the past year. Check out August after the jump! Throughout the month of August, I tried a bunch of citrus products for my series dedicated to the best of the best citrusy scents. I kicked it off with a tried and true fave, Philosophy Senorita Margarita! I'm a firm believer in buying multiples when you find a piece that works. And the All Saints Kinji Dress is so amazing, I have in grey AND in white. I tend to stay away from aviator sunglasses, but this pair from Marc by Marc Jacobs is truly amazing. 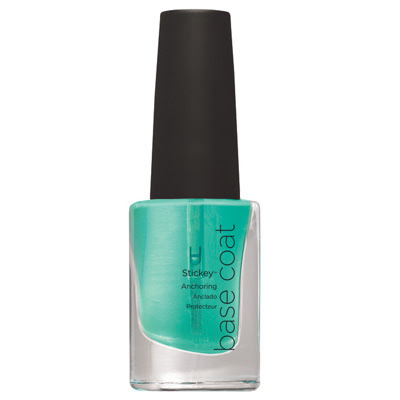 The absolute best base coat? Hands down, it's CND Stickey. If you're looking for a brow technician who really knows her stuff, head to Bella at Bliss Spa. Perfection. Do you like your freckles? I asked you to weigh in. Is it grey? Is it blue? Does it matter when M.A.C Give Me Liberty of London Blue India Nail Lacquer is this gorgeous? Have you heard of the wonder that is Twittabling? Seriously, it's the next big thing. Continuing in my quest to find the best citrus products, I snapped up masterpieces by Darphin, Bobbi Brown and Mario Badescu. I came up with quite the intense nighttime skincare regimen that really and truly works. Get a peek at it with my video! Oh, butter LONDON. Your fall collection BLEW. ME. AWAY. One of my all-time favorite products is Smith's Rosebud Salve. And my life was MADE this year when they finally put it in tube form!